Enter Inboard Technologies, producers of the world’s highest quality electric skateboards, and local Santa Cruz entrepreneurs. Their product: the M1 Electric Skateboard. It’s a sleek and refined personal transportation board with a top speed of over 24 mph, and in-wheel motors that maintain the smoothness of the regular skateboard experience. Not only did the company start out by receiving over $400,000 dollars in pre-orders via their Kickstarter page, but they were also featured on the infamous Startup pitch reality show Shark Tank (and yes, they received an offer). Now they are spending most of their days working to process orders and scale up the business, while also soaking up the Santa Cruz sun. Eventually the company hopes to be considered Tesla for rideables, emphasizing the importance of design, and first finding a suitable market from which to grow. And Santa Cruz offers the best of both worlds, with Inboard joining a cadre of other well established and well known lifestyle companies, like Santa Cruz Bikes and Santa Cruz Skateboards. We couldn’t agree more Ryan, and thank you for building your company in Santa Cruz. 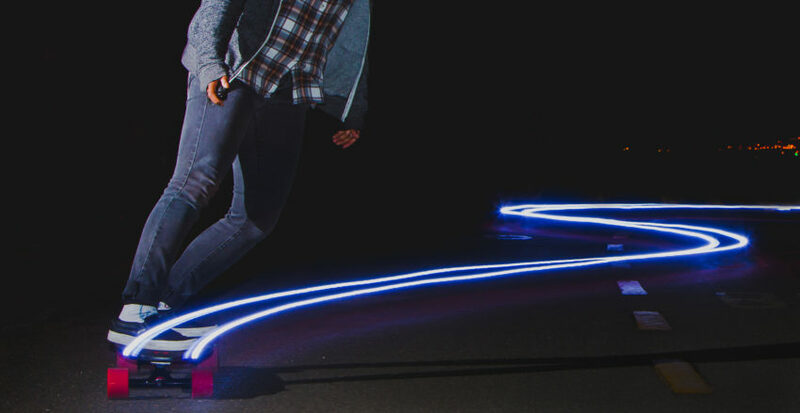 If you want to learn more about Inboard, or order your own M1, visit their website at https://www.inboardtechnology.com/. Also, be sure to share this story with your friends to help get the word out about another awesome local company! The Time Has Come: Santa Cruz Fiber is Beginning Construction in Downtown Santa Cruz!